Zero Hour is a youth-led call to action to ensure a livable future by demanding bold leadership at all levels of government to confront climate change. They need your help to build their national movement. Two days earlier on July 19th, Zero Hour will host a Youth Climate Lobby Day. Join the Movement! Thunderclap this event through all of social media to broadcast this youth-led organization's message at https://www.thunderclap.it/projects/68339-this-is-zero-hour. The one-time Thunderclap will broadcast to social media on April 22nd at 12:00 pm PDT. The human influence on climate has been established by thousands of scientific studies, stretching back more than 150 years. Today, however, public and political opinions on climate are becoming ever more sharply divided: along ideological, socio-economic, and even religious lines. What does it take to succeed as a woman in STEM fields? How do you get started on your career path, and how do you know if you're headed in the right direction? At this event, women working in STEM will talk about how they got to where they are today. They will share their personal and professional journeys with you in an informal environment with plenty of space for discussion and questions. Come celebrate Earth Day with us at no better place than the Bullitt Center, the GREENEST commercial building on Earth! Denis Hayes, President of the Bullitt Foundation coordinated the first ever Earth Day in 1970. This building It is located in the amazing Seattle neighborhood of Capitol Hill. oin us for a fun and inspiring evening salon bringing together a cross-section of thinkers and creators to meet and mingle over locally-sourced food and beverages, and catalyze games that are good for people and the planet. This year we're focusing on the theme of "surviving climate change": how might games and players respond to the new reality of rising temperatures and all its social, biological, and geophysical consequences? Join friends and colleagues at our spring social event, a science-themed trivia quiz night in the U. District at Floating Bridge Brewing Co. This special NSWA-organized evening will be hosted by the quizmasters at Geeks Who Drink and will test your knowledge of arcane facts about science, science fiction, geeky music, and a custom challenge round designed just for us. 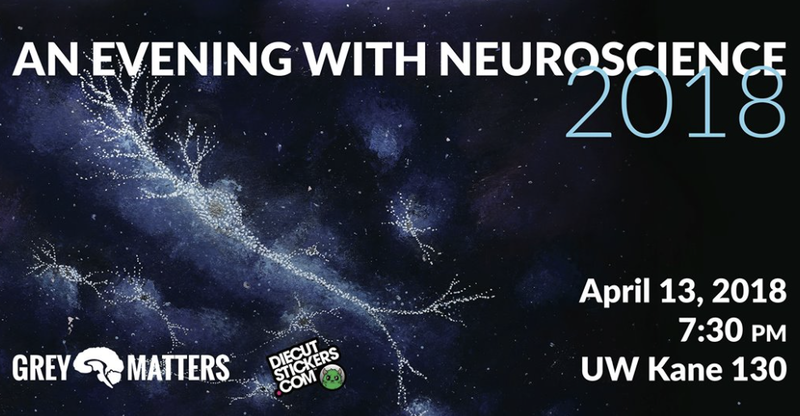 The Evening with Neuroscience is a celebration of that remarkable brain in your head. This event is an opportunity for the public to engage directly with brain researchers. We invite neuroscientists, psychologists, and clinicians to discuss up-and-coming research, dispel myths, answer your questions, and share a few brainy laughs with the public. After an hour of discussion, we will open up the floor to audience questions and discussion with the panelists. EVERYONE is invited to participate. Doors open at 7:00 pm; this event is free to attend. Join us for trivia night at Optimism Brewing, hosted by Seattle 500 Women Scientists. Proceeds from the event will benefit Ciencia Puerto Rico. Teams limited to 8 people. Open to the public, both members and non-members. All ages (and dogs) welcome. Hosted by Seattle 500 Women Scientists. Art by Doublecompile CC BY 5A 3.0. Climate Science on Tap: Is the Marine Food Web Hanging by a Thread? Puget Sound is known for iconic scenery and wildlife. Recently, Governor Jay Inslee signed an executive order outlining a strategy for southern resident orca whale and Chinook salmon recovery. But how is climate change impacting these animals? And how is the rest of the food web affected? This Climate Science on Tap will examine how the food web of Puget Sound and the wider Salish Sea will be altered by a changing climate, from microscopic plankton to massive orcas and everything in-between. Lynne Barre, National Oceanographic, and Atmospheric Association. The event will be moderated by P. Sean McDonald with the University of Washington's Program on the Environment and researcher with the School of Aquatic and Marine Science. All ages (and dogs) welcome! Enjoy food truck and great beer with friends while enjoying lively conversations! Doors open at 5:30 pm event begins at 6:30 pm.